Continuing our protracted – and oftentimes delayed – series of hikes in the Sierra Madre, my friends and I hiked Mt. 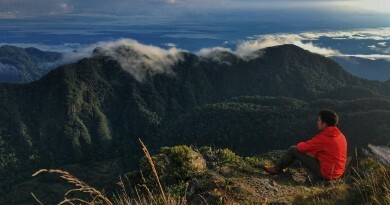 Pamazam-pazam (1331m) in the Bugkalot/Ilongot territory within Maria Aurora, Aurora. First entering the mountaineering books as part of an MFPI congress in 2004, I made passing reference to this peak in 2010 when I first visited Aurora and hiked Mt. Udok (see Hiking matters #104), and have long dreamed of climbing it. 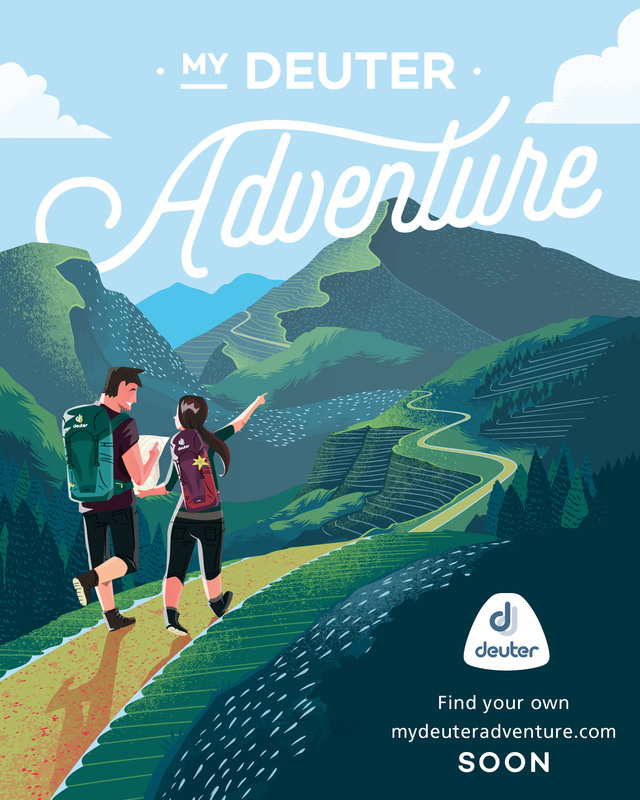 Encouraged by our successful Mingan climb last year (Hiking matters #602), we decided to push for Mt. Pamazam-pazam – also known to the Ilongot as Mt. Bugisalao after the bugisalao (kamagong) trees that thrive in the mountain. 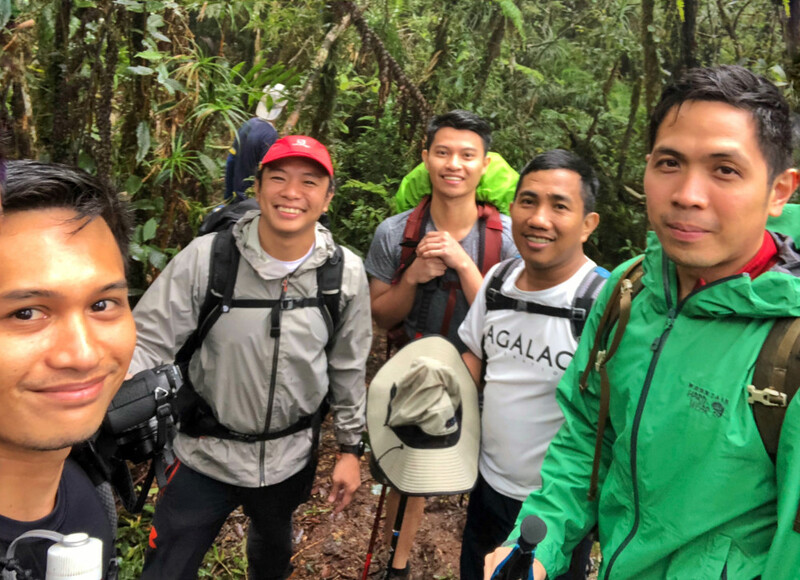 I was joined by Daryl, Tony, Kevin, and Allen – and we were accompanied by three Ilongot guides led by Ariel Cawag. Starting the trek at Brgy. Bayanihan at 0900H, we followed a rough road that entered the forests that straddle three provinces: Aurora, Quirino, and Nueva Vizcaya. 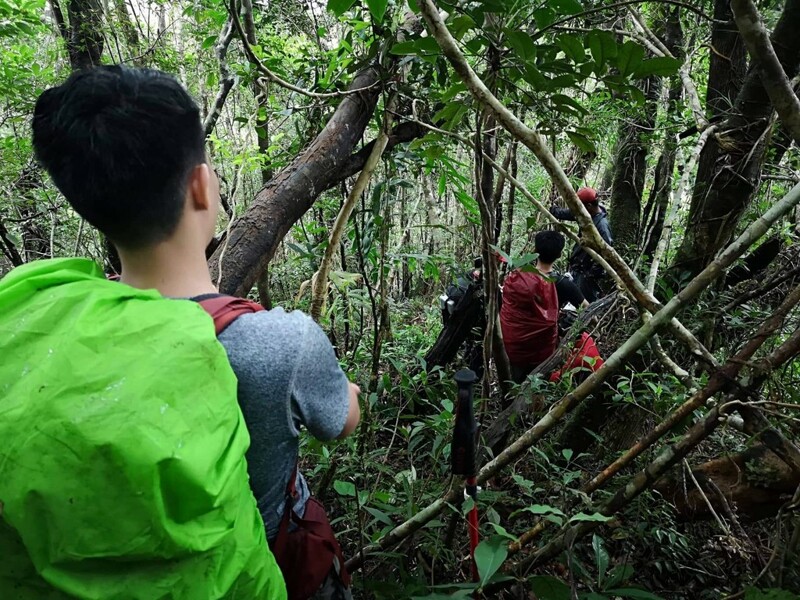 The road, which must have been used for logging many decades ago, is only interrupted by several river crossings, the last of which was above 500 MASL – representing a 400-meter gain from the trailhead. Even at this point one can appreciate the biodiversity of the Sierra Madre, with various sunbirds and doves, river crabs, and an occasional snake. After the river comes the second and more challenging part of the hike: the steep ascent up overgrown vegetation to reach the summit and campsite of Mt. Pamazam-pazam. 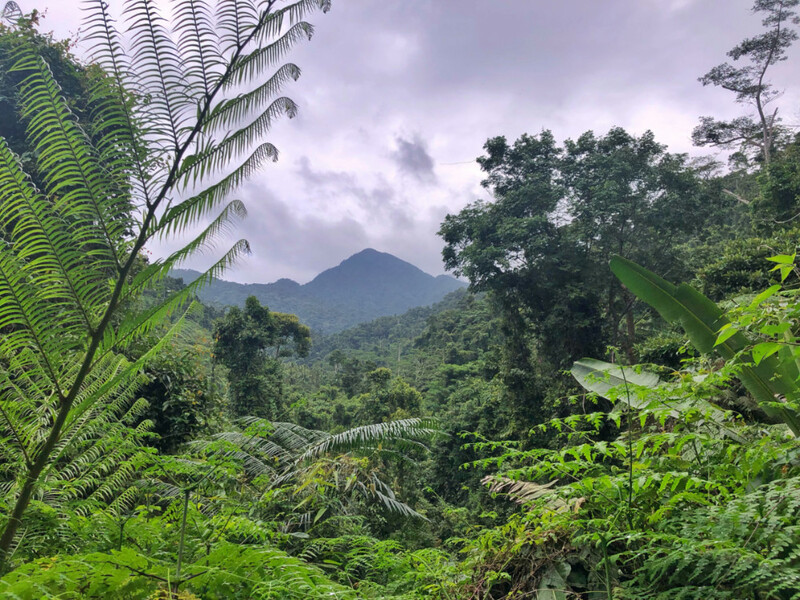 As we ascended we heard or saw signs of monkeys and wild boars; the dense forest was most refreshing, offering such fresh air that I could almost feel my lungs celebrate even amid the considerable effort of taking the increasingly high (and unpredictable) steps to reach the top. In all, it took us 7 hours from the trailhead to the campsite (1310m) – around 3 hours to the end of the river (i.e. the last water source) and the final four hours from the river to the forested campsite. After a cold and rainy night, the following day we took the five-minute trek to reach the official summit, which is marked by an old tree. 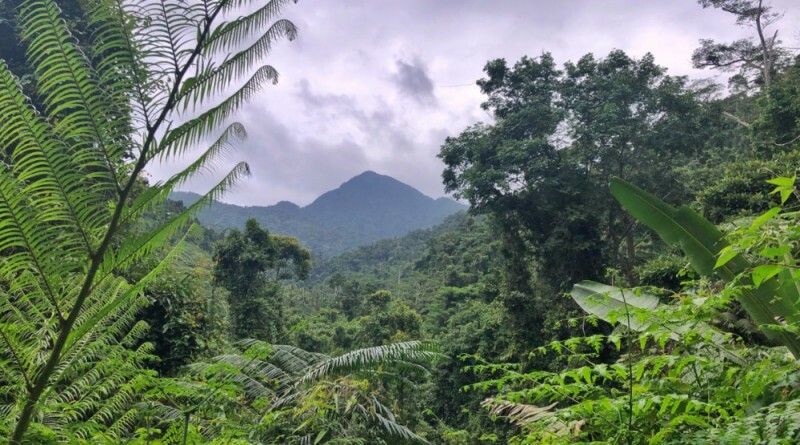 It was raining for much of our hike and we didn’t see any view but our guides told us that had it been clear we would have been able to view Mt. 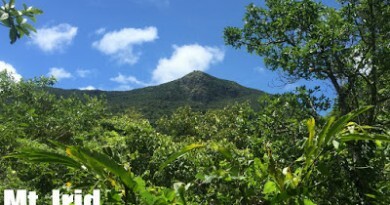 Atondu – the highest mountain in Quirino, also located within Ilongot territory. The Pacific coast, too, would have been visible, but just reaching the peak was enough to give me a sense of elation upon summitting my 4th Aurora mountain. Back at the campsite we took our time and started the descent at a very late 1120H – and we pretty much spent the rest of the day retracing our steps back through the f0rest to Brgy. Bayanihan. 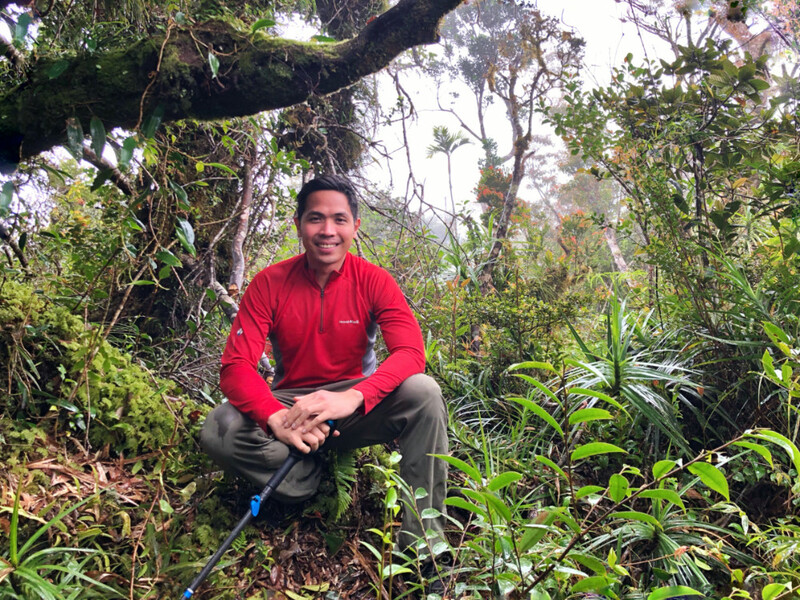 As with the ascent there were some limatik – but as our guide Ariel reminded us – we should look at them as signs of mountain life and biodiversity. 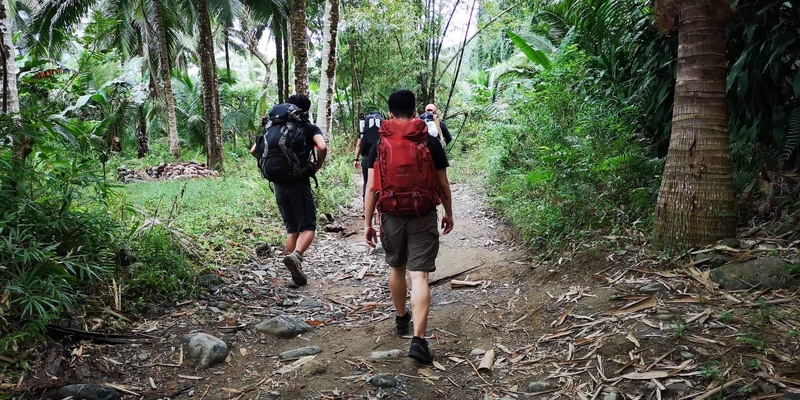 We managed to complete the descent in around 6 hours and by dinnertime we were celebrating another successful hike in Baler – before heading back to Manila. 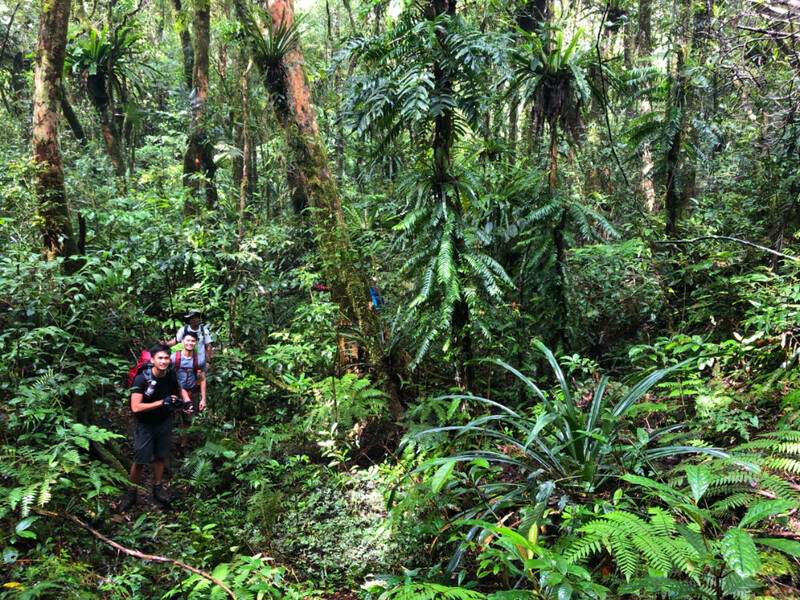 Looking forward to the next Sierra Madre hike! PinoyMountaineer thanks Karl and Verjohn of Piknikers Mountaineers for their assistance in the hike. Some of the photos are courtesy of Tony Gutierrez. ← Antarctic Christmas: Carina Dayondon safely back from Vinson Massif basecamp! Hiking matters #23: Save the Ipo Watershed and the Sierra Madre forests!